Please note: Once you click the "CONFIRM BID” button, you will enter into a legally binding contract with the seller as long as you are the highest bidder. For the full description of the auction object please see below. We're sorry! Your bid of 0 EUR is too low.. The current bid is 0,00 EUR. Please enter at least 0,00 EUR. For easier bidding, just enter your "Maximum Bid". Then all bids will be automatically outbid until this amount has been reached.. Your Bid of 0 EUR has been registered. Now You are the Highest Bidder on this Auction. The current bid is 0 EUR. All bids are automatically outbid until your "Maximum Bid" amount has been reached. Please note: Once you click the "BUY-IT-NOW” button, you will enter into a legally binding contract with the seller. For the full description of the auction object please see below. The Buy-It-Now option is unfortunately no longer available. The auction has already received a valid bid and Buy Now option was disabled. Please make a bid on the auction. You successfully completed the purchase of your machine for 49300 EUR . You will receive a confirmation e-mail in the next few minutes in which the next steps will be explained..
Central one-handed operation from the rear Mixing computer for 99 different mixes with 99 components each Liquid component container. Solid component container made from stainless steel for bagged goods. Check valve to secure blower. Filter system with 12 cartridges. Cleaning is done using pneumatic valves. 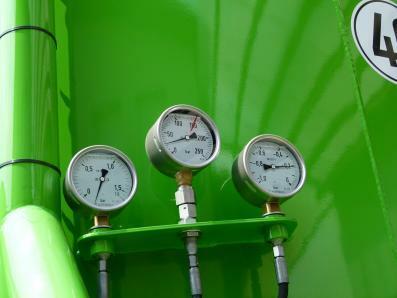 Vacuum and pressure manometer. 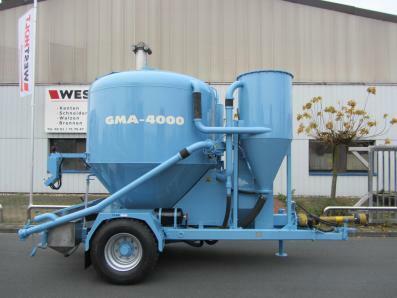 Hammer mill with 72 fittedhammers with screen frame for wire sieves in 10 different sizes (380 mm wide / diameter: 800 mm). 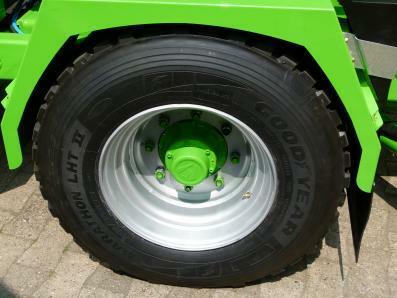 Main drive via 8 v-belts for tractors with 1000er power take-off. 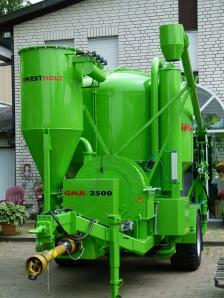 Vertical positive mixer with 400 mm worm gear. 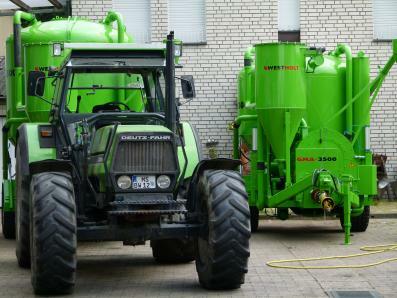 Option (The option price can be purchased plus auction price for a fixed price): The charging device for direct filling – 3900,00 eur. 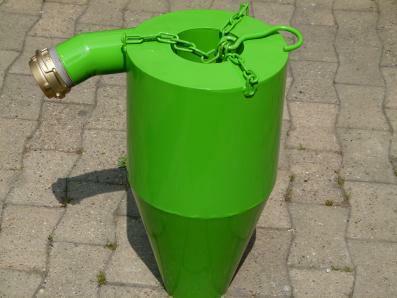 Blow out cyclone – 500,00 eur. 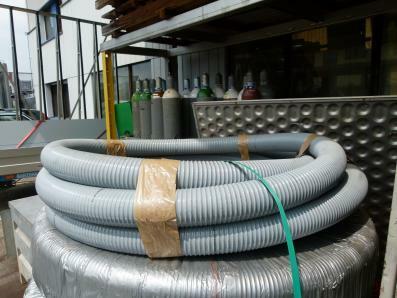 Suction pressure hose 80 х 6.00 mm copper wire – 21,50 eur. Level indicator with lamp and horn – 330,00 eur. 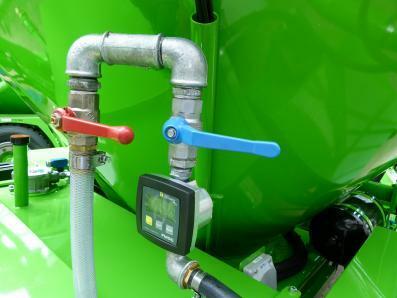 Flowcounter with hose and lance - 550 eur. Working lights – 270 eur. 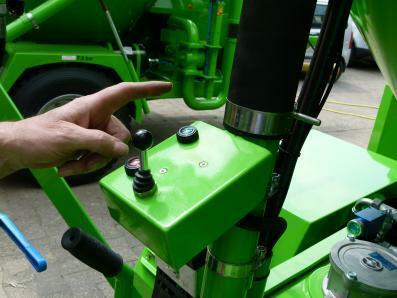 Delivery and first start -1000,00 eur within Germany. DELIVERY WITHIN 6-7 WEEKS.